Friction reducers are used in shale fracking as an economical replacement to guar gel while transporting proppants. Texan shale chemicals friction reducers can reduce friction by nearly 70%. Our FRs have been field tested and proven in shale fracking, and are environmentally friendly. 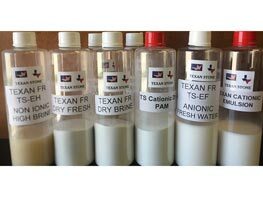 Texan Shale offers FRs both in emulsion and in dry powder form. Guar gum is an agricultural product affected by weather, farming practices and economic conditions. 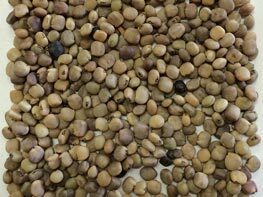 The majority of guar farming and processing takes place in north and northwestern India and in Pakistan. Texan Stone has a field office in India. Along with the breadth and size of our network, our experienced associates interact with the farming community on a regular basis. We import directly from reputed guar gum fast hydrating powder manufacturers with stringent product requirements. The original COA includes hydration viscosity testing method and its results. Furthermore, the polymer is selected for lower slurry viscosity. Texan Stone is an importer of various shale chemicals, which is offered through Texan Shale Chemicals. We are an official distributor to many of the finest chemical manufacturers in Asia. 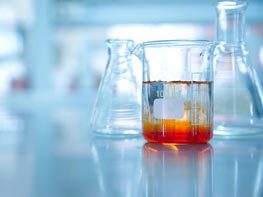 Through this network we are able to provide our clients with friction reducers, guar gum, xanthan gum, silicone oil (polydimethylsiloxane), octane booster, fluid loss reducer, pour point depressants, antioxidant stabilizer, styrene, and maleic anhydride copolymer. If any of these products are needed, contact Texan Stone directly. 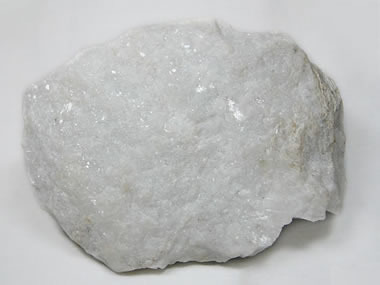 Barite is a high grade ore, which is also found in the concretion of sandstone and sand. Texan Stone imports its barite from the world’s largest single mine barite reserve, which is based in India. Barite is typically used as a weight for drilling mud. This material is an important substance for the industrial industries as it provides high-density concrete. Our imported barite comes from mines based in India and China. Garnet is a natural mineral collected from the alluvial soil sources such as river or beach deposits and gathered in a sustainable manner or mined from rock deposits. 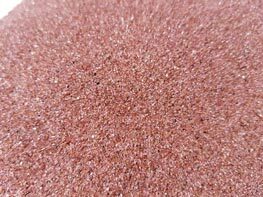 The hardness and other chemical properties of garnet sand makes it a superior candidate in abrasive blast cleaning, water jet cutting and for water filtration. It is also used in fracking applications. Garnet is widely used globally, although only a handful of major companies produce and distribute nearly 90% of the garnet used in industrial applications. 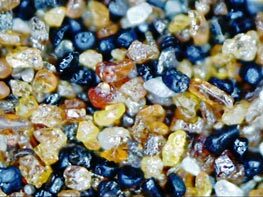 Texan Stone is one of the largest importer of India Beach and River Garnet. Staurolite is a hard brown to black mine mineral with a hardness of 7 to 7.5 on the Mohs scale. Texan Stone staurolite is marketed under trademark name STAR-O-RIGHT. Texan Stone is importing staurolite from European alluvial sources. Texan Stone has become the fastest growing wholesaler of staurolite in the nation because of not just the quantity of staurolite we sell wholesale, but because of the quality of the abrasive material. STAR-O-RIGHT is of the highest quality and it is CARB certified. STAR-O-RIGHT abrasive is a low chloride, low conductivity, and low free silica. STAR-O-RIGHT gives 2-2.2 mil impression and generates less dust, faster blasting and more efficient cleaning for all our clients. Texan Stone imports the fibrous crystal, sillimanite, from various manufacturers' alluvial sources and beach sands in India and Europe. This mineral is used in numerous industries, including glass, electric and petrochemical. Since this mineral is highly resistant to breaking down or being corroded, it is commonly used to compose various substances, like concrete, zinc, iron, and steel. 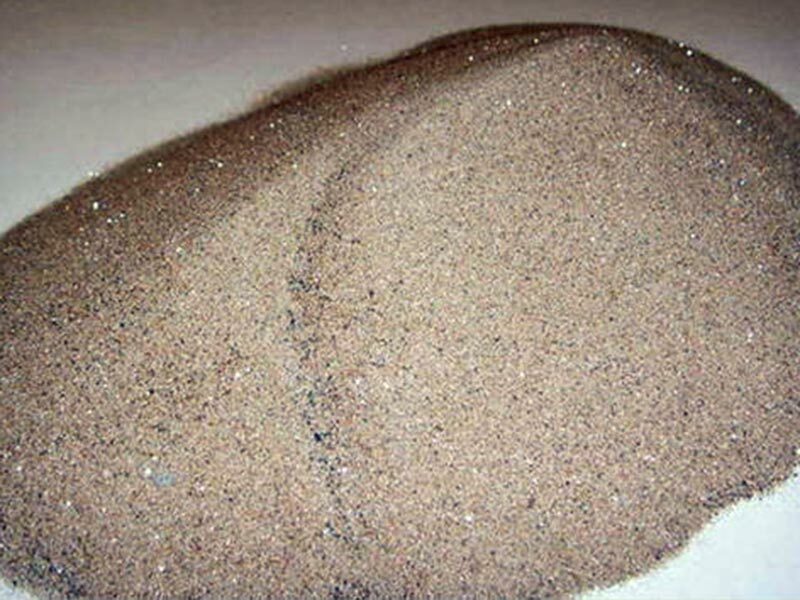 This extracted mineral can be shipped as a sand or flour substance. We are here to provide the highest quality product to industrial and oil and gas clients. Texan Stone was founded on the principles of integrity and consumer trust. We are exhaustive in our measures to ensure high quality products and service to every client. © 2018 Texan Stone. All Rights Reserved. Design & Maintained by CareBridge Digital.